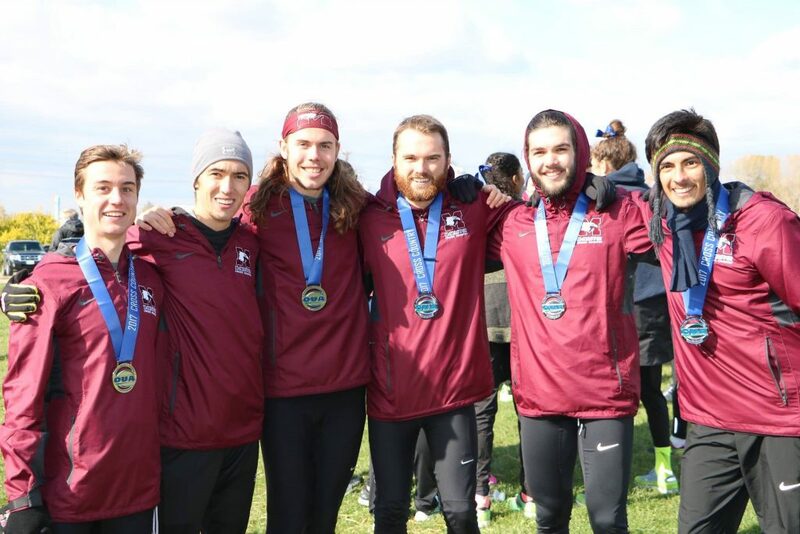 The U Sports Cross-Country Championships, held this year in Victoria, British Columbia, marks the end of the outdoor track season for the McMaster cross-country team. The University of Guelph’s men’s cross-country team reclaimed their title after being beaten by Université Laval the year before. The Guelph women were not as successful, falling for the first time in 13 years to the University of Toronto Varsity Blues. The women’s race was also the first time the championship has been run as an 8km event, as it was traditionally 6km. Although McMaster’s men’s team was hoping to medal, they finished just three points behind third-place Laval with an overall score of 90 points. The women’s team came in seventh place, improving from their 2016 eighth-place finish. While only two of the competing women had never been to the U Sports championships, five out of the seven members of the men’s team who attended had never competed at the Canadian university championships, including the 2017 Ontario University Athletics rookie of the year Max Turek and newly named U SPORTS Second Team All-Canadian Sergio Raez Villanueva. With the men consistently ranked between fourth and fifth by U Sports throughout the season, finishing second in the OUA, it started to look like the Marauders had a chance at finishing within the top three. Unfortunately they were ultimately unable to pull through. Noting that year-to-year consistency is emblematic of Mac’s program, the women continuing to improve even after losing key runners is something that Schnurr is more than proud of. Although the team will be losing Jeffery Tweedle, who over the last five years has had a major impact on the McMaster cross-country program, right behind him there are a number of athletes who are ready to fill his running shoes. Raez Villanueva and Turek are just two of the talented athletes the men’s team has to offer. For the women’s team, Schnurr hopes to create that same level of depth that they have on the men’s side. With a few recruits looking to join Mac’s program, they hope to continue to get stronger and do better over the next few years. As for the offseason, there essentially is none. Now that the outdoor season is over, the indoor track season begins. With their first race in December, the indoor season spans across January and February. After that, many of the athletes will train with Schnurr in the summer and compete in the six meets Mac plans to host in aims to continually progress and be more successful in the years to come.